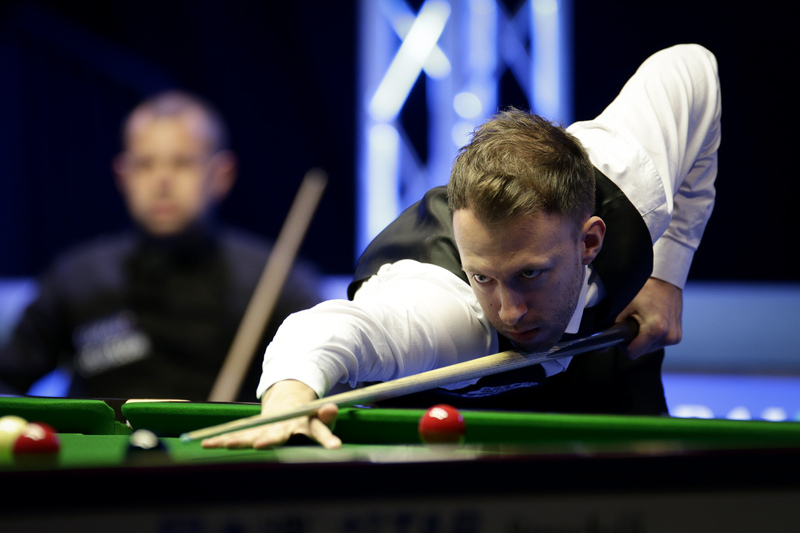 Judd Trump is through to the Coral World Grand Prix final after winning a hard fought battle with Barry Hawkins 6-5 in Cheltenham. The Ace in the Pack will now face Ali Carter in tomorrow’s final where the winner will take home £100,000. Trump is aiming to capture a tenth ranking title, which would put him in joint ninth position in the all-time ranking event winner’s list alongside Jimmy White. Trump, who has already been victorious this season at the Scottish Open and the Masters, is now one game away from winning three titles in a single campaign for the first time in his career. If he were to do so, then he will have amassed over £500,000 in prize money in a single season for the first time in his career. Defeat for Hawkins denies him the chance to claim the trophy which he won two years ago, after beating Ryan Day in the 2017 final. This was Hawkins’ first appearance in the World Grand Prix since that victory, having not qualified to defend his title last year. It was Hawkins who seized the early initiative this evening. A break of 92 in the second frame put him 2-0 ahead. Trump hit back with a break of 60 to cut his deficit in half. The Masters champion then claimed a scrappy final frame before the mid-session, where both players spurned chances, to level at 2-2. They continued to trade frames when they returned, with Hawkins continuing the pattern of edging ahead and being pegged back. Eventually Trump forced a deciding frame with a break of 52, where a barnstorming run of 92 earned him a 6-5 victory. The Ace in the Pack punched the air with delight at reaching his 19th ranking event final. Trump said: “It is always nice to win any sort of deciding frame. Especially in a tournament as big as this. I think it was just pure relief having been behind the whole match. I didn’t start well. The first four frames were very bad. I managed to just dig in and when I got my chance in the final frame I took it.